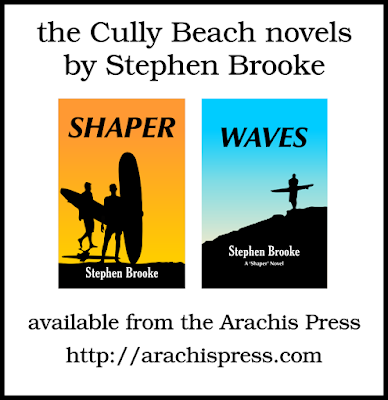 My two ‘Cully Beach’ books (SHAPER and WAVES) represent my primary foray into the ‘mainstream’ novel. They are not exactly the first, as they are rather distantly tied to my very first novel, the Young Adult title THE MIDDLE OF NOWHERE. Also, there are contemporary (more or less) short stories, some of them related to the same Florida setting and characters. Ostensibly, the two novels are ‘crime’ stories, and marketed as such. The crime element is to give some structure; they are not aimed at the mystery genre, nor are they action thrillers. They are also tales of contemporary Florida (though set nearly two decades ago), of surfers and small beach towns. Should one write what one knows? 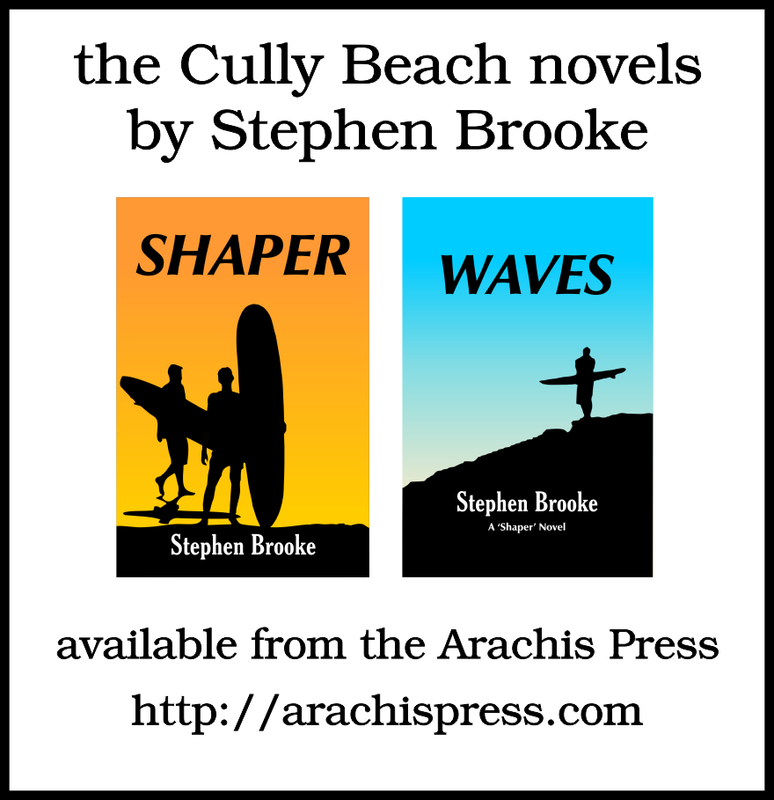 Sometimes, perhaps, and the Cully Beach novels are my attempt to do so. They follow a few months in the life of Ted Carroll, middle-aged surf shop owner and builder of surf boards, known to most as ‘Shaper.’ Ted thinks he is okay, that he has things under control at this point in his life and has put the demons of his past to rest. Things change when a body shows up in the vacant house next door and, a few days later, a woman and daughter with a mysterious past reopen the motel across the street. Things change more when Ted falls for that woman. I readily admit that when I first envisioned and began to plot out SHAPER it was going to be a much darker novel and the ending pretty much a downer. That changed pretty quickly (though I almost ended with a breakup, meaning to fix it in the sequel) and a fair amount of humor found its way into the story. But Ted still suffers from depression and tends to cling to the safe little world he created for himself. So, was there any point to writing a sequel, WAVES? I left enough threads dangling at the end of SHAPER to weave a new story and, again, there is a crime element centering around land development and political corruption. Plenty of relationship stuff too, naturally, as that is really what these books are about, with an old flame showing up and that sort of thing. There might or might not be a third Cully Beach effort. If so, there will be more crime, and part of it might take place at the Florida Folk Festival of the year it is set, 2001. The focus might also shift some from Ted to his adopted daughter, Charlie, future policewoman (though he would continue to narrate the tales). The title? I thinking maybe SMOKE.